iTunes 12.7 removed the iOS app store, which meant you couldn’t buy or manage your iPhone and iPad apps when your devices are connected to your Mac. Some people don’t like it, and if you really don’t want to change your ways, there’s a workaround: You can install iTunes 12.6.3 and get back access to the iOS app store. There is a catch, though. Apple provides support only for the latest version of iTunes, which means that iTunes 12.6.3 is not supported by the company and you can’t get technical support if you need it. iTunes 12.6.3 was originally released to address the needs of businesses and enterprise customers that prefer the app management method built into iTunes prior to version 12.7. You can learn more about iTunes 12.6.3 by reading Apple’s knowledgebase article. If you’ve already installed iTunes 12.7, you can run the installer for version 12.6.3 and it will replace version 12.7. But there are a few additional steps you need to perform to get 12.6.3 to work. If you are using iTunes 12.6.2, you don’t have to upgrade to 12.6.3. Click the link below to download iTunes 12.6.3 for Mac. 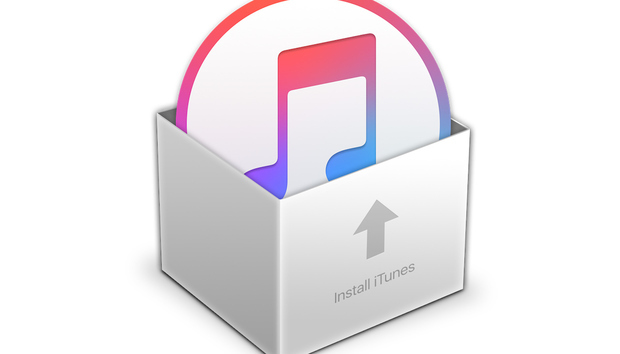 Here are the instructions to installing iTunes 12.6.3 over iTunes 12.7. 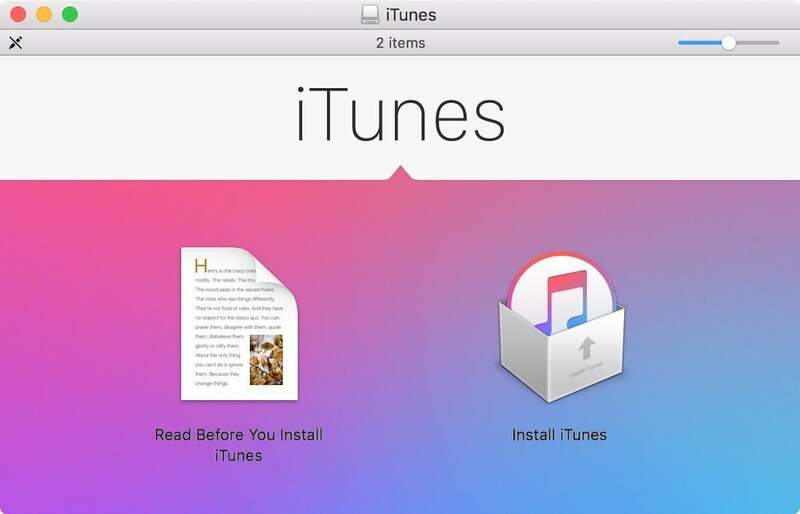 In the window that opens, you can read the Read Before You Install iTunes document. Double-click on Install iTunes to run the installer. As you navigate through the installer, you’ll need to enter your user password to proceed. The installation takes a few minutes. 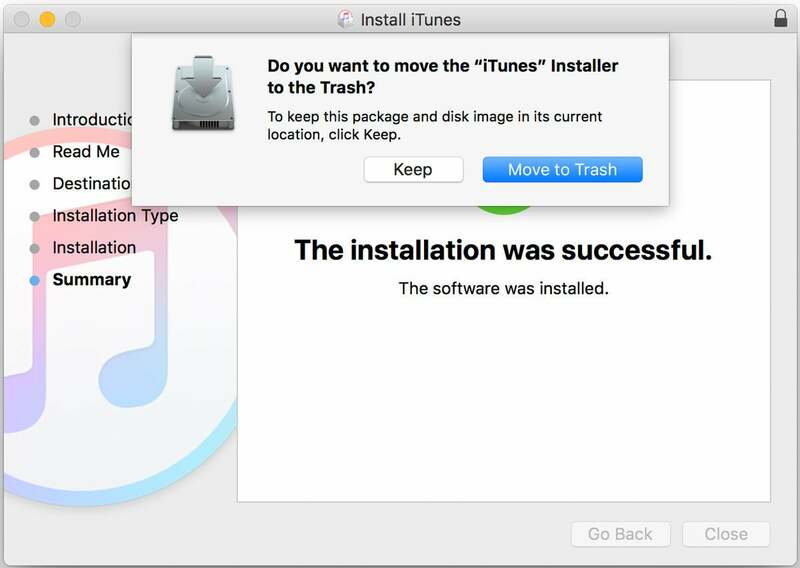 When the installer finishes, it will ask if you want to move it to the Trash. Click Move to Trash. After that, you’ll find iTunes 12.6.3 in your Applications folder. If you had iTunes 12.7 and want to replace it with iTunes 12.6.3, there are a few more steps you need to do. You have to reassign the library that iTunes uses, because iTunes doesn’t like it when you are using a previous version to access a library created by the current version. You’ll see the message below. Click Quit. Do not click Download iTunes, because this will download iTunes 12.7. Go to your Applications folder and look for the iTunes icon. Hold down on the Option key while you double-click iTunes. You should see the message above. You can click Create Library, and this will make a brand-new library. If you click Choose Library, you might be able to access an older library, like the one you had before installing iTunes 12.7. You can click on Choose Library, and it should automatically take you to your iTunes folder; if not, you’ll find it in your Music folder. You may have a folder called Previous iTunes Libraries (see below). Open that folder, and then look for a recent .itl file. Select it can click Open. If it’s not the library you want, you can redo these steps and select a different .itl file. 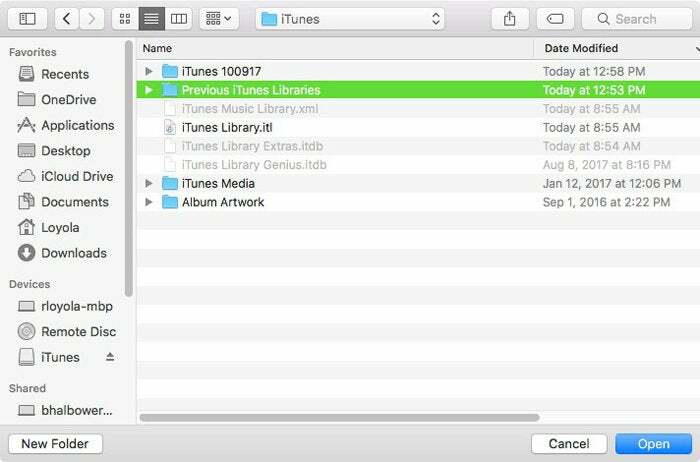 After you select your library file (or create a new one), iTunes will launch and you’ll find the iOS app store, as well as the sections to organize your iOS apps.